THE BenRiach Distillery Company has won 10 medals, including two Gold and four Silver Outstanding, across its three brands at this year’s International Wine and Spirits Competition. And rounding off an excellent performance at the Awards, the Edinburgh-based company was again shortlisted for the 2015 UK Spirits Producer award. Founded in 1969, the International Wine and Spirit Competition is one of the most prestigious in the world. It currently receives entries from over 90 countries, giving it global reach. It was set up to seek out, reward and promote the world’s best wines, spirits and liqueurs. Now in its forty-sixth year, the IWSC’s pursuit of excellence underpins every aspect of the competition today. Judging for the competition is unique in that it has two stages; first, the products are tasted blind by expert panels, selected from over 300 fully experienced and qualified industry judges. Then, products which receive the top medals are subject to technical analysis before results are released; this crucial stage ensures winners receive complete validation. Sales Director Alistair Walker said: “An IWSC award is an internationally-recognised badge of quality and we’re delighted to win ten this year, especially as they are spread across all three of our brands. 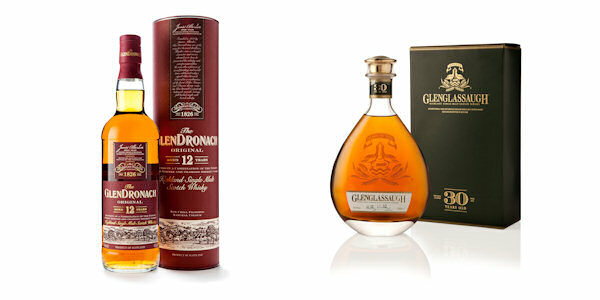 He added: “Winning four outstanding silvers is also very pleasing, especially the two for our brand-new releases, the BenRiach 10YO and the GlenDronach 8YO. The BenRiach 10 Years Old is Classic Speyside in character and the cask formula focuses on ex-bourbon and ex-sherry casks – exactly the types of wood we favour at BenRiach. And the GlenDronach 8 Years Old, known as The Hielan’, is a rich and immensely satisfying dram with a classic sherry signature.